Portmantle, on the Turkish island of Heybeliada, is a retreat for artists away from the world where they can either rest or recuperate their genius or let that genius loose of their minds and bodies on full cylinders. Here there are strict rules, you must change your name and not only forget the world outside it’s grounds but also endeavour not to refer to it, designed to harness the purity of your concentration and focus. At Portmantle we meet Knell, a painter, along with Quickman the novelist, Pettifer the architect, MacKinney the playwright who have become a little clique, that is until the arrival of a new young artist, Fullerton, whose arrival sets tongues wagging and (as can be the case when anyone new enters a situation) alters the equilibrium between the group. Knell in particular finds herself drawn to Fullerton and his seemingly slightly tortured and mysterious soul. Of the four of us, it was surely Quickman who valued his detachment most. In the early days, we could not look at him without thinking of the famous photograph on the back cover of his novels – the sunflower lean of him towards the lens, arms crossed defiantly, the brooding London skyline on his shoulders. We had grown up with him on our shelves, that stylish young face squinting at us over bookends, from underneath coffee mugs on our bedside tables. His real name was known in many households, even if it was not part of daily conversation; in literary circles, it was a synonym for greatness, a word that critics added esque to in reviews of lesser writers. It is hard to say much more about this section of the book for fear of some spoilers which lead to an incredibly gripping, twisted and wonderfully gothic story which I was completely enthralled by. This dramatic conclusion, which is roughly under a third of the book, then sees a sudden shift where we go back to Knell’s life before Portmantle when she was known (and indeed became very well known) as Elspeth Conroy. We follow her life and career as she becomes an assistant, to artist Jim Culvers, after university and then becomes a much acclaimed artist herself in the years that follow. Now I have to say that the shift in tone niggled me a little at first though Wood soon lulled into the world of the art scene in London (with periods in New York, one of the books strands takes place on a voyage between the two) in what the fifties, yet cleverly has a timeless feel like Portmantle does. As we follow her through the discovery of her creative genius, for that is what she becomes hailed as, we watch as she falls in love, gains confidence, then questions herself as her raise to fame brings other pressures and changes her world for the good and the bad. This is where I found Wood does a marvellous turn at looking at how wonderful the arts and culture world is and also how utterly bonkers and absurd. I never understood why all this glitz and pageantry was required to sell a picture – it certainly had nothing to do with art. Every painter I respected worked alone in a quiet room, and the images they made were intended for solemn reflection, not to provide the scenery for obnoxious gatherings of nabobs and batty collectors wearing too much perfume. After a while, the company of such people became the norm, and I was expected not only to enchant them with my work, but also to fascinate them with my personality. If I baulked at placating these strangers, it merely served to enthral them even more. I am not renowned for being a huge fan of books about the arts, in fact often quite the opposite (odd considering I work for a cultural team and love that world, maybe it feels a bit like a busman’s holiday) yet I was converted by Wood because of his writing – which reminds me of Colm Toibin for some reason, which is a big compliment. Firstly the character of Elspeth is such a vivid one, I genuinely felt as if I was with her along all these varied and different through both the highs and the lows. I also thought Wood evoked the era and the places wonderfully, whilst also giving them a slightly surreal edge too almost like a fairy tale but without the magic. I also really liked the feeling that something was coming, again no spoilers here, that would then lead Elspeth to Portmantle and to a life as a pseudonym. I was gulping it all down, especially once we then return to the gothic world of Heybeliada where everything gets all the more odd, sinister and surreal. There is however a but coming and it is this that I have been thinking about for months since I finished the book and it all revolves around the denouement that you don’t see coming yet sense in the air as the tension gets more and more fraught as The Ecliptic’s conclusion arrives. I think this nameless moment is probably a huge divider for anyone reading the book. People will either love it or they will possibly be a little bit miffed by it, even when another little twist follows. I sadly fell into the latter camp, though I know I am one of the few and far between as many people who I love and trust the opinions of loved it. I felt tricked but not in a good way. I love endings I don’t expect, I love authors doing something different and Wood does these wonderfully. I just think the manipulation that many see as marvellous, and I admire, just lost me and completely unintentionally. I should have worked for me as it has for so many, but it just made me a bit peeved. This was definitely one of those ‘it’s me, not you’ moments as Benjamin as he had me with him for 80% of the book. Months later the scar from that slight jolt (so dramatic Simon, ha) has passed and as I mention above I can completely understand why what happens happens, the purpose of it and why many wonder at it. I am just in a minority, possibly of one. That said I look back on The Ecliptic and instantly the two worlds of the gothic Portmantle with Knell and the glitzy art world and all behind its facade with Elspeth come straight to the fore because Wood’s writing and characters are superb. 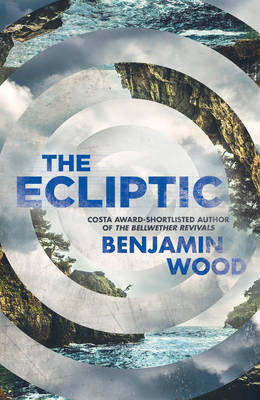 I shall definitely be heading to The Bellweather Revivals in due course and think maybe The Ecliptic is a book I may need to take off my shelves in years to come and revisit again because it has certainly stayed with me and made me think about it long after I read it. I would recommend many of you give the experience a whirl and come back and tell me all about it. 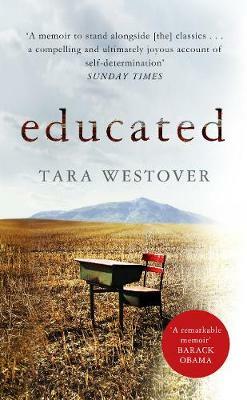 A perfect book group book if any of you a pondering your next choice, much to ponder and talk about.